Edward Milner Stephen was born in Sydney on 9 July 1870, the son of Edward Milner Stephen (1834-94), Official Assignee of NSW, and his wife Florence Adelaide Manse, the fifth daughter of the Reverend John Jennings Smith. In 1913 he married Mollie Stuart Graham of Queensland. There were no offspring. He died on 28 April 1939, survived by his widow. He was buried at St Jude’s Church of England Cemetery at Randwick. Milner Stephen was educated atSydneyGrammar School (where he was Captain in 1887) and St Paul’s College at the UniversityofSydney. He was called to the NSW Bar in 1896. From 1929 to 1938 he was a Judge of the Supreme Court of NSW, the fourth generation of his family to hold this position. 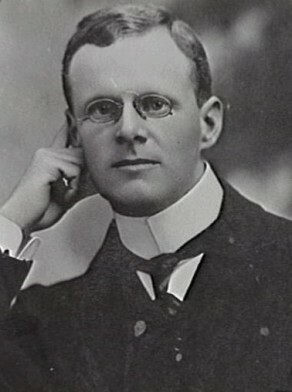 Edward Stephen was a member of the Bar Council, the council of the Town Planning Association, and the Australian Club. He was chairman of the Reform Party. Stephen was an amateur actor with a life-long interest in the Gilbert and Sullivan operas. In 1894 he was a foundation member of the Royal Sydney Golf Club. Stephen was the first Honorary Secretary of the Prisoners Aid Association and was a member and the secretary of many charitable organisations. Milner Stephen was Alderman for Fitzroy Ward, 7 December 1900 to 31 December 1927. He was a member of the Finance Committee, 1901-04, 1907-15 and 1933 when he became the Vice-Chairman. He belonged to the Electric Lighting Committee, 1905-20 and its Vice-Chairman from 1914-16, the Health Committee, 1901-04, the Health and By-Laws Committee, 1901-03, the Health and Recreations Committee in 1903, the Parliamentary and By-Laws Committee, 1901-03, the Works Committee in 1905, the Queen Victoria Market Buildings Special Committee, 1910-11 and the Electricity Supply Committee, 1921 and 1923-27. Stephen was Deputy Lord Mayor in 1912. He was a member of the Civic Reform Association.